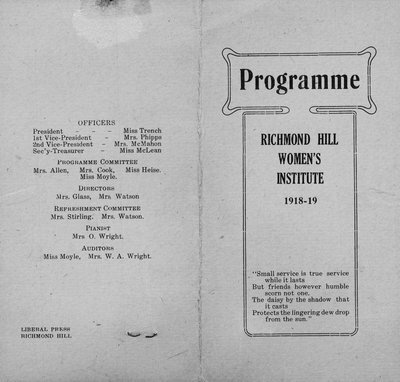 Programme of Richmond Hill Branch of Women's Institute in 1918 and 1919. Glass, N. ; Wright, O. ; Bales, O.D. ; Langstaff, Lillian ; Wright, W. A.